I'm a fan of cube shaped Japanese beads because they work up very quickly in designs and tile beautiful. 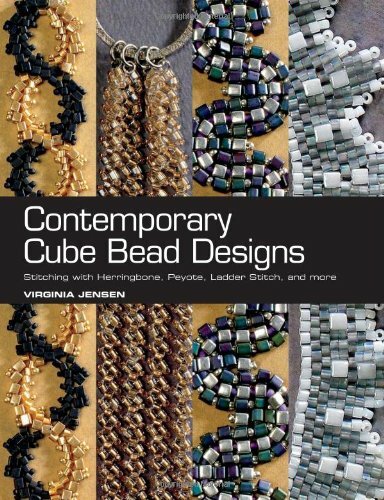 This is Virginia's second book that focuses on cubes shaped beads. 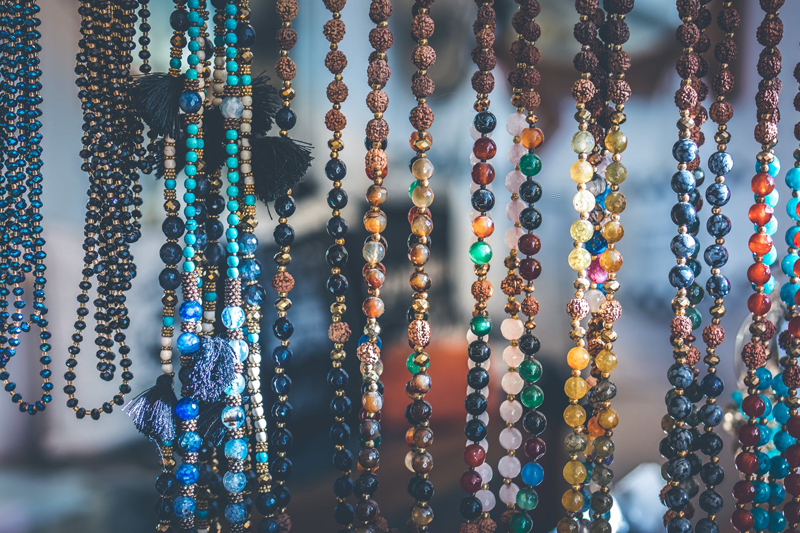 If you're a beginning beader, cubes have extremely large holes, and come in sizes that are bigger than seed beads without being as large as pony beads. The squared edges in bead weaving makes a more rigid fabric than rounded beads. They are ideal for learning new stitches. The book starts with an introduction to cube beads, it covers the 2 main manufacturers of cube beads, as well as an overview of other possibilities for cubes. The designs in this book can be done using cubes that are the same size as the beads suggested. So if you have a gorgeous strand of gemstone 4 mm cubes, you can use them in place of the 4mm cube seed beads. The rest of the introduction covers knots and explains a bit about the stitches used in the book. The projects are all well photographed with good diagrams. If you're a beginning beader, you'll learn brick stitch, herringbone, peyote, peyote using different bead sizes, and square stitch which is an absolute natural for cube beads. There is also a new stitch offered called Step Stitch which is used to create dramatic chains and geometric shapes like stars, and the Points Collar pictured on the far right on the cover. One of my favorite things in the book is the way that cubes are ladder stitched together to create multibar spacers for strung pieces. I also love the way cubes and seed beads work very well to make the rounded shapes of the Aztec Ladder Bracelet, and the Flame of India Earrings. My favorite project in the whole book are the Paisley earrings, using the same herringbone variation that creates the Flame of India Earrings, the author creates a wonderful versatile paisley shape that can be used as a motif in other pieces. Step stitch makes nice simple chains, but it's also used in ways that are reminiscent of architecture. The projects for this book are well chosen. The stitches are explained well with clear thread paths, and they are building blocks to your own designs. The designs are classy and adult. The Points Collar would look lovely with the right dress and the Tila Checkered Cuff combines cube beads and Tila (two holed square beads) for a bracelet that would go office to evening very well. Recommended mostly for beginning bead weavers and beaders who like quick projects, but more intermediate beaders will probably enjoy the Step stitch, and the herringbone variations in the book. You can get this book from Kalmbach Books , or by using the Amazon.com affiliate link below. Kalmbach Books provided this review copy of Contemporary Cube Bead Designs to me free of charge.